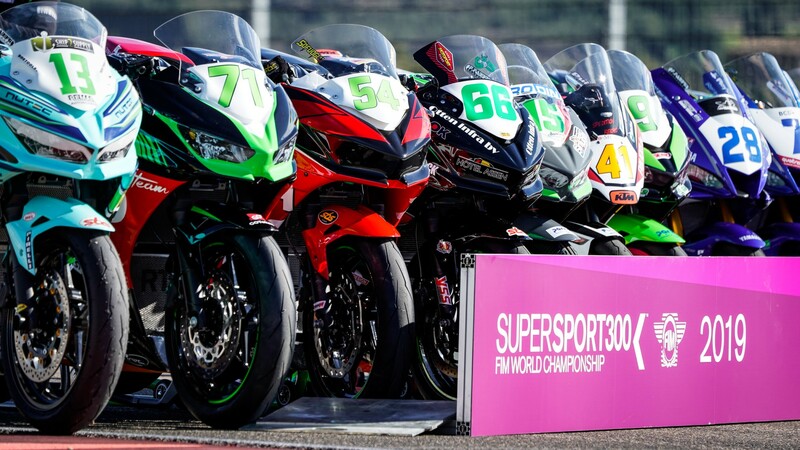 WorldSSP300 riders ready for the new season to begin! Preparation is done! 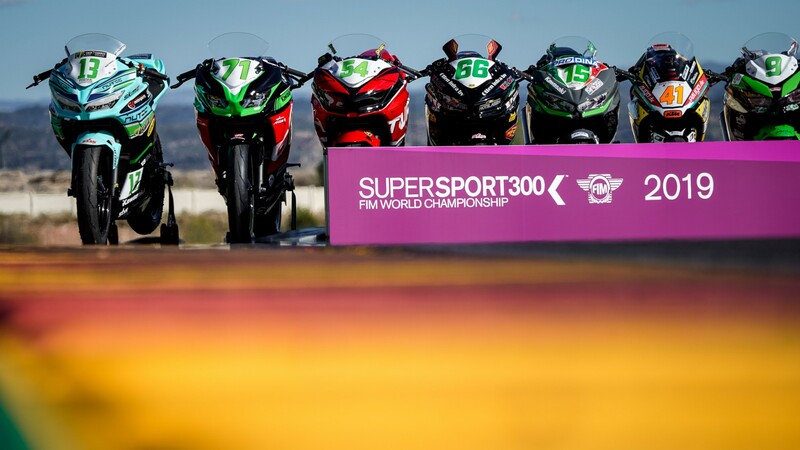 The FIM Supersport 300 World Championship will officially kick off tomorrow at the Motocard Aragón Round, and it will be a welcome addition to the WorldSBK paddock. 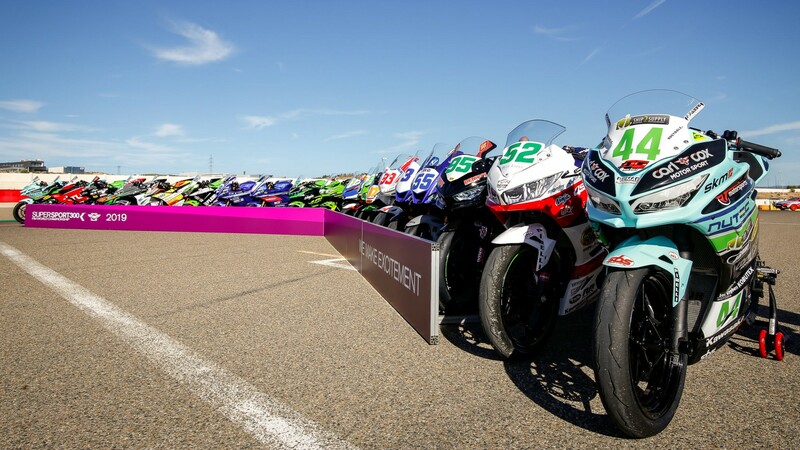 The most exciting feeder class is back, and it will see 52 riders coming from 16 different countries challenging for the crown this year, with the new format, the 2019 WorldSSP300 season is set to be the biggest for the series since its introduction in 2017. 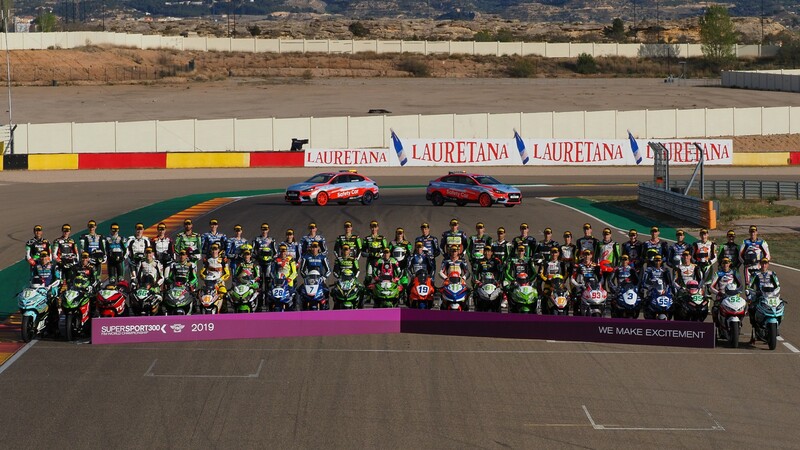 Representing each team contesting the 2019 FIM Supersport 300 World Championship, twenty-two bikes were lined up on the start/finish straight of MotorLand Aragón with riders standing behind and posing for the traditional Official Chevron picture, ready for the new season to begin.